Christchurch born Len Lye (1901-1980) was an artist who made films, wrote poetry and painted, he also became known for his kinetic sculptures. Len Lye spent most of his life overseas, his connection to the Govett-Brewster Art Gallery began in 1977 when the gallery exhibited some of his sculptures. Obviously impressed with the gallery and his experiences in New Plymouth, he created the Len Lye Foundation. A Deed of Gift was made in 1980 between Len Lye, the Foundation, and New Plymouth City Council to transfer ownership of all Len Lye’s work to the Foundation ‘for the public benefit of the people of New Zealand’. It was proposed that a dedicated space be built for Len Lye’s work. On 25 July 2015 the gleaming stainless steel Len Lye Centre adjoining the Govett-Brewster Art Gallery opened to the public. The centre cost around $11.5 million dollars, all of which was funded by central government ($4 million) and the remainder by private donors, I think that’s almost as impressive as the structure itself. 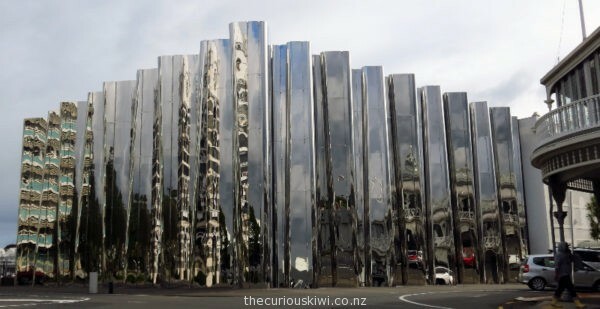 No doubt Len Lye would have liked the stainless steel exterior of the centre as he used the material in his kinetic sculptures. The exterior also involves movement – what you see reflected changes when you move, it can become distorted, repeated, and elongated – it’s fun to interact with. 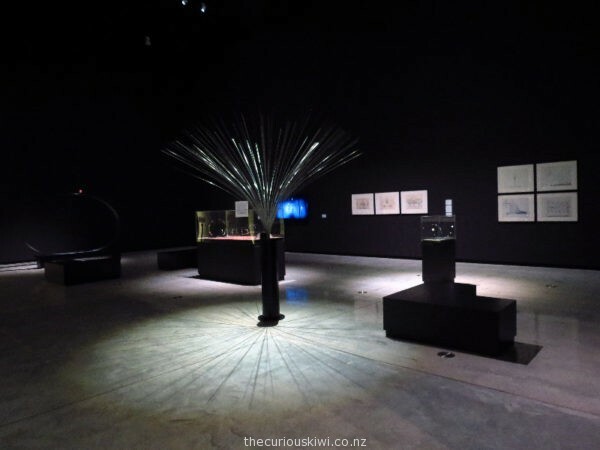 We visited the Govett-Brewster Art Gallery / Len Lye Centre at the end of June, entry was free, but from 4 August it will cost adults from outside New Plymouth $15 each. While we thought the exterior of the centre was impressive and worth seeing, we only spent about 15 minutes inside the galleries and didn’t think there was enough to look at. We don’t often visit contemporary art galleries and neither do we usually ‘get’ contemporary art so our short visit is also reflected in that. However it felt like there needed to be a lot more art in the galleries. I’ve also read that many of Len Lye’s art works and sculptures are in storage, I think more needs to come out of storage and go on display for paying visitors to feel that their time and money have been well spent. A collection of Len Lye’s kinetic sculptures. 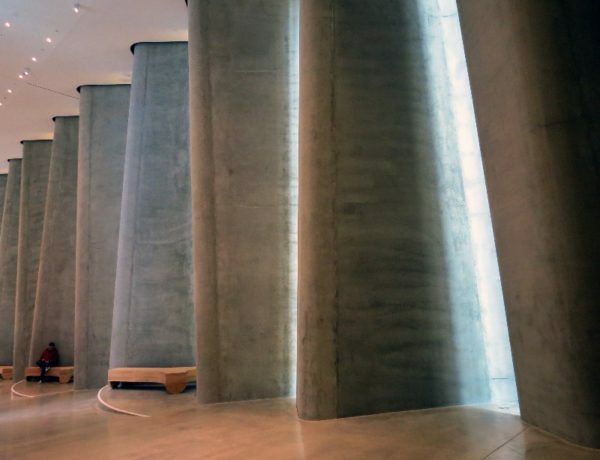 The Wind Wand was built after Len Lye’s death from plans and drawings he left. You can find the Wind Wand on the New Plymouth Coastal Walkway. 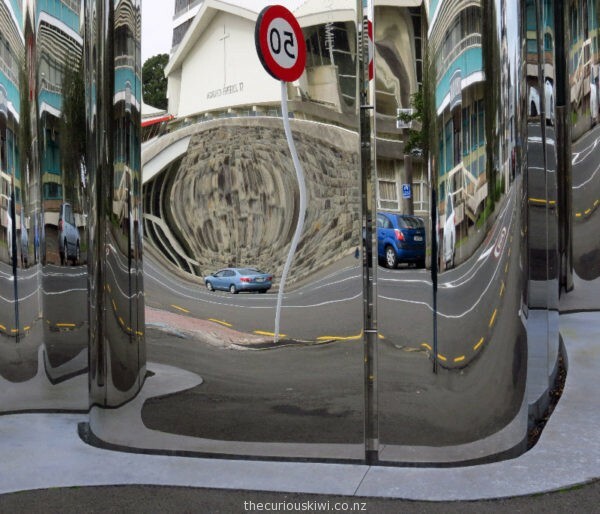 This entry was posted in Whanganui/Taranki and tagged Len Lye Centre, Taranaki by thecuriouskiwi. Bookmark the permalink.